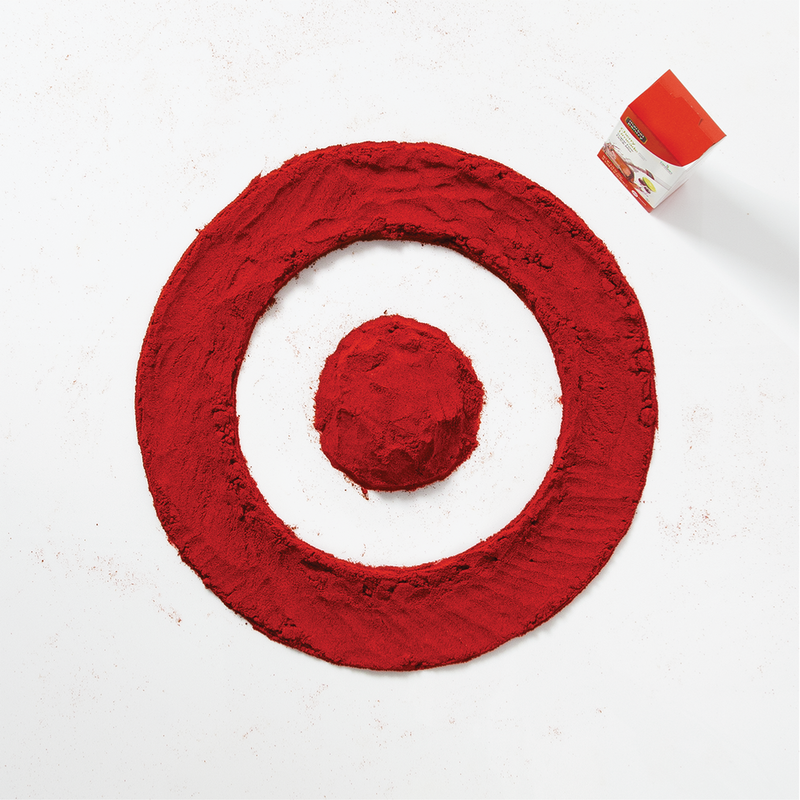 Target devised a tasty "Food for Thought" social media campaign to herald the opening of their Canadian stores. 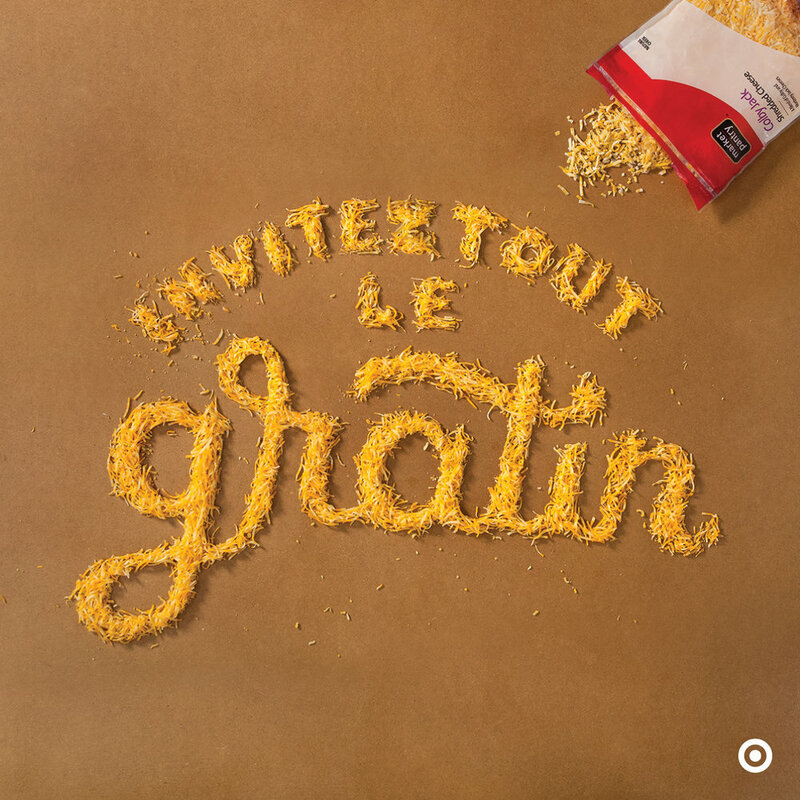 To satisfy both Franco and Anglophone residents, phrases were devised bilingually in a myriad of food groups. The advertised Archer Farms product was subtly pictured in the top corner of each piece. 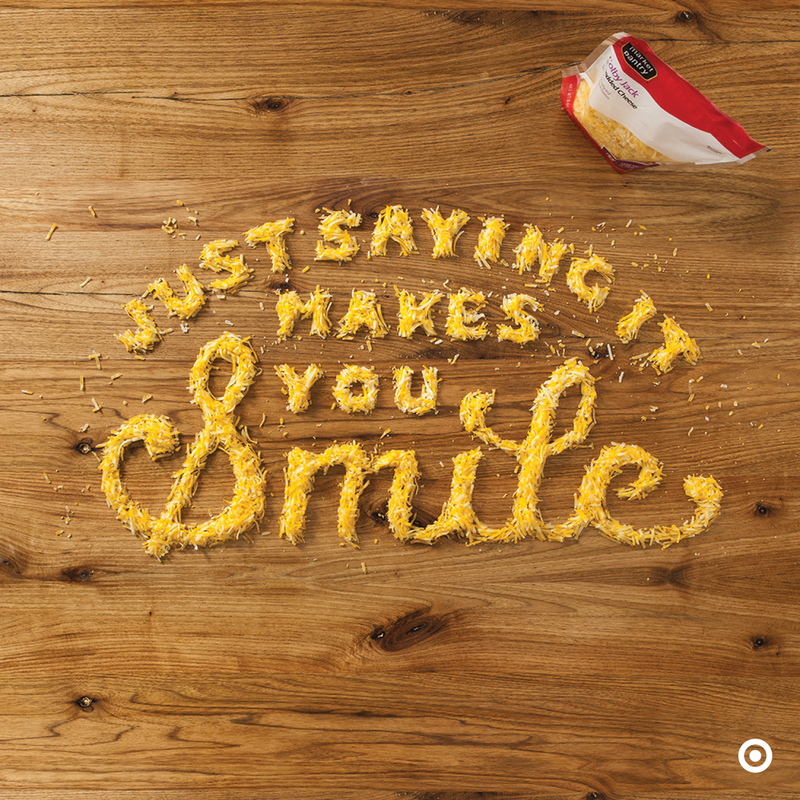 The campaign required eleven food lettering images, all of which were built and filmed over the course of three and a half days, as well as a process video and interview. Ambitious but delicious for a first ever client gig.